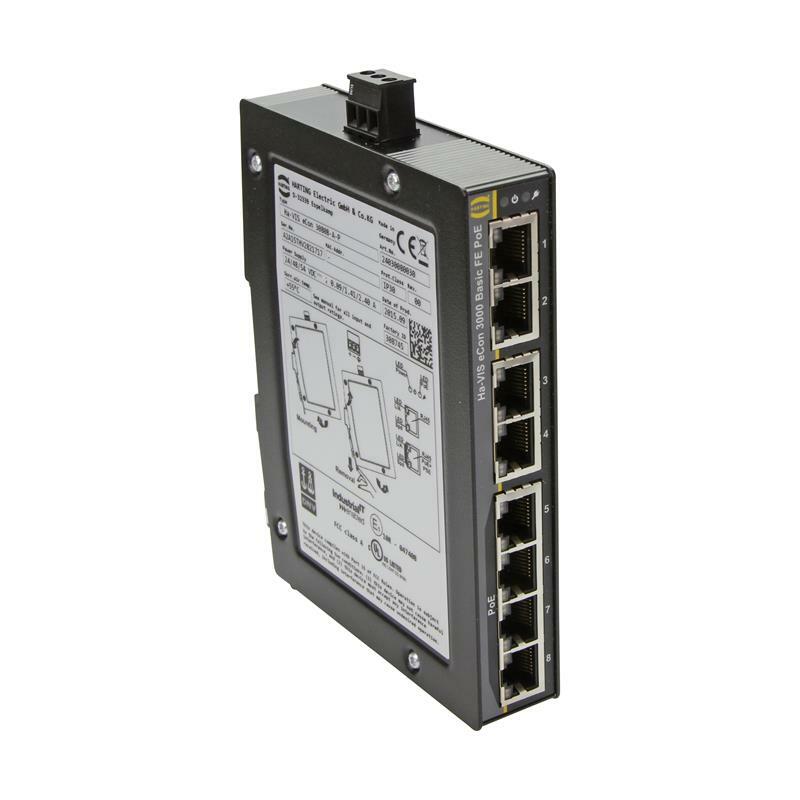 The unmanaged Ethernet Switch Ha-VIS eCon 3080B-AP - 24030080030 from HARTING has 6 Fast Ethernet ports with a data rate of 10/100 Mbit/s, 4 ports with PoE/PoE+ feature. The slender design of the Ethernet Switch Ha-VIS eCon 3080B-A-P - 24030080030 enables an extremely high packing density on the DIN rail. Thanks to the automatic detection of the transmission rate and the wiring a simple plug-and-play installation is possible. The Ethernet Switch Ha-VIS eCon 3080B-A-P is mainly used in the following applications: machinery + robotics, industrial automation, industrial network infrastructure, transportation, solar power, wind energy and shipbuilding.